Dingos are the largest terrestrial predator in Australia. 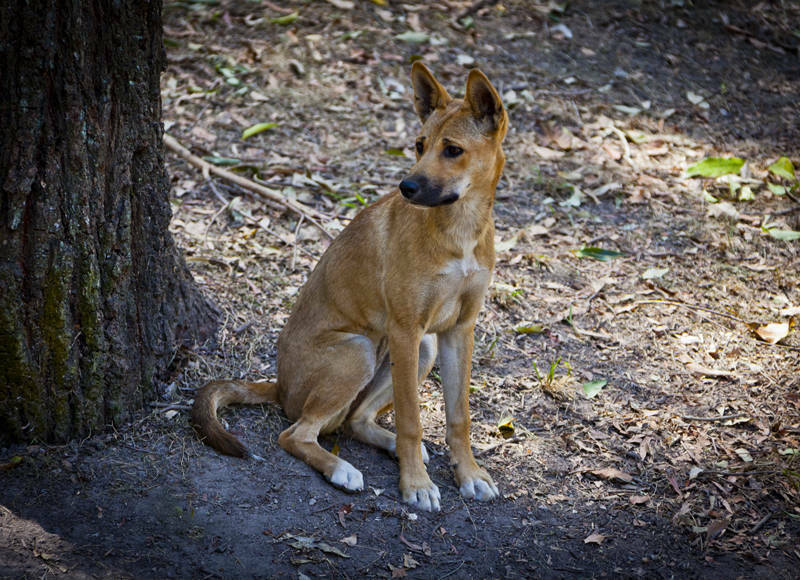 This appears to be a pure dingo due to its red brown coat and white paws. However like much of Australia’s wildlife you can never be quite sure. Interbreeding with domestic dogs and the inability to form a consensus as to what a dingo is, put this animal somewhere between iconic native wolf and wild feral dog.